The city of Honolulu, the state’s capital, offers a handful of business hotels (primarily in the airport, downtown and fringe Waikiki areas) and world-class resorts such as south Honolulu’s Kahala Mandarin Oriental. The majority of the island’s hotels are located in Honolulu’s main visitor district, Waikiki, which stretches along the famous beach of the same name. Here elegant landmarks such as the Royal Hawaiian Hotel and Sheraton Moana Surfrider rub shoulders with budget hotels and vacation condos. In contrast, O‘ahu’s North Shore remains rural and relatively secluded. The main communities are Hale‘iwa and Waialua, with accommodations mostly limited to rental homes. To the east of Hale‘iwa lies Kahuku and Turtle Bay, home to the upscale Turtle Bay Resort. The island’s arid west side boasts some of its most beautiful beaches and dramatic vistas, but offers only a few lodging options. The upscale JW Marriott Ihilani Resort & Spa is located on these shores, and the Makaha Resort (complete with golf course) is nestled against the Waianae Mountains. Waikiki is not the only place to stay on Oahu. If you want to get out of the city, look for a vacation rental property. Scores of them are located on beaches and hillsides throughout the island, ranging in size from 10 bedrooms to one, and in price from $9,000 a day to $50 a day. The median cost is about $250 a day for three bedrooms. The Kailua/Lanikai area offers a wealth of vacation rental opportunities. 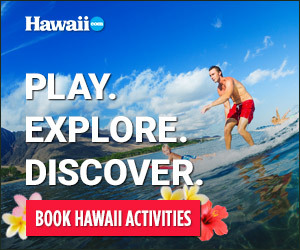 The Hawaiian community of Waimanalo is another good choice. Many more are scattered along the north shoreline with a concentration around Sunset Beach. High-end, exclusive estates can be found in Diamond Head, Hawai‘i Kai and Kahala.